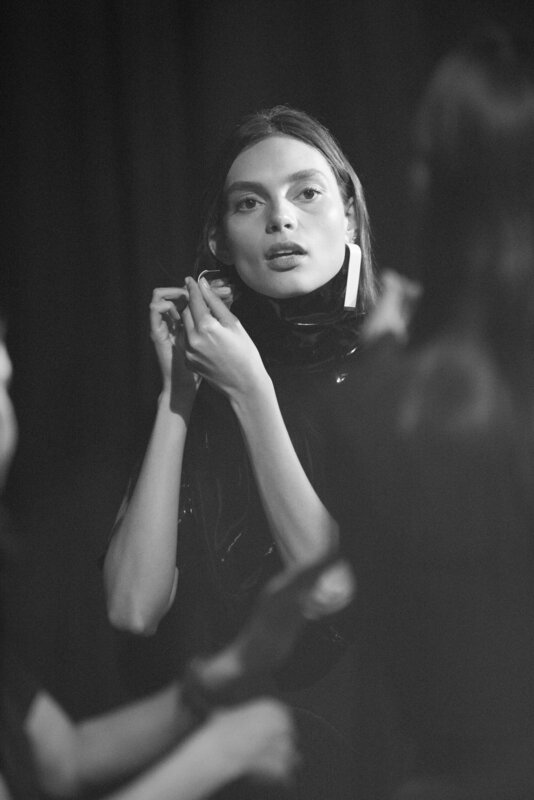 🎶turn on your speakers 🎶// backstage moments with Charlee Fraser & Georgia Fowler. Mercedes Benz Fashion Week Australia 2017. Words & photographs by me (Dave Blake). Cover photo ft. Ollie Henderson (CHIC Management) walking for the jaw dropping final show of the week by Romance was Born. This year was my first foray into the world of experiencing (and photographing) Australia's largest and most important industry-only fashion event, Mercedes Benz Fashion Week Australia (MBFWA 2017), hosted annually in Sydney. It's an event where the biggest and most ambitious designers (with the help of their PR teams) showcase their next season collections in $60-100K shows, fashion editors pen make-or-break reviews, and socialites, models and fashion bloggers have access to an enormous media army helping them push out so much content it's difficult to find a time where you don’t see video rolling or hear a camera clicking at 12 frames per second. For those that don’t know me, I’m a fashion photographer that had a truly fashion-less upbringing in Far North Queensland where the accents are thick, and shoes are optional. To put another twist on the story, not long ago, I also used to be a computer programmer - a far cry from the mysterious world of fashion, models and socialites. As a full-time shooter I do have visions of grandeur to go all the way in shooting commercial fashion and beauty, for top-tier clients. I constantly surround myself with mentors that push me to not only work on my craft but also understand the industry that I purport to operate in; earning the right to wear the badge of “fashion photographer”. 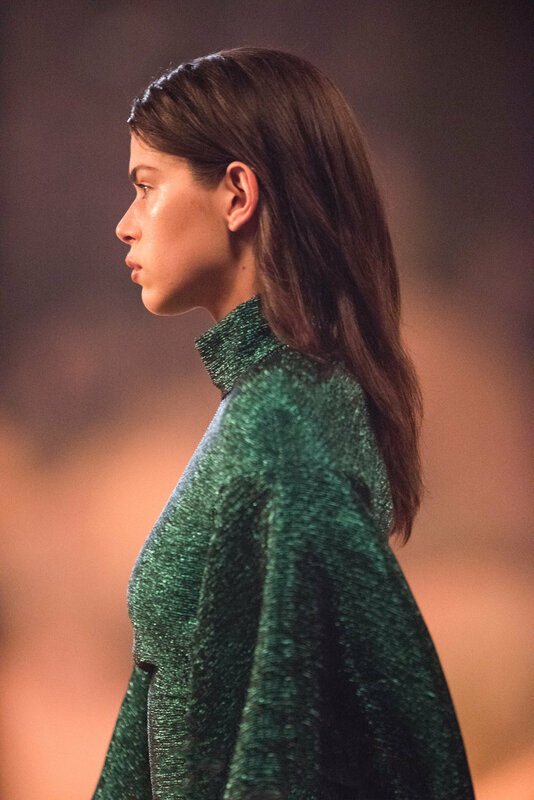 This year, armed with my ability to shoot, a loose idea of what to expect, and some might say, hit-and-miss-boyish-charm, I applied for my media access to shoot, and set about navigating the wonderful world that is Fashion Week Australia. This is my top 30 from the week - I hope you enjoy! Active Collective Showcase runway room, looking back towards the Media Riser. Annabella Barber (IMG Models) Spotted at MBFWA '17 on her way to the DION LEE show at the Sydney Opera House, wearing Surrounded by Ghosts. Roberta Pecoraro (CHIC Management) walking for DION LEE at the Sydney Opera House off-site show. Shoes First, Tash Sefton wearing Balenciaga boots front row at the Bianca Spender show. Jade Woods (IMG Models) walking for Bianca Spender in the Theatre. Max May @maxmade & Zoe Cross @crossandbone on their way to the Alice McCall show. Jordan Barrett (IMG Models) walking for Justin Cassin, runway show. Chloe Worthington (Chadwick Models) walking for Sass & Bide in Bay 22-24 at Carriageworks. Detail & beauty: Chloe Worthington for Sass & Bide. Gisele Pletzer (THE.mgmt), giving me attitude between shows. Reagan Angelo (Viviens Models) walking for Gary Bigeni, in the Elston Room. Pre show, light & shade. 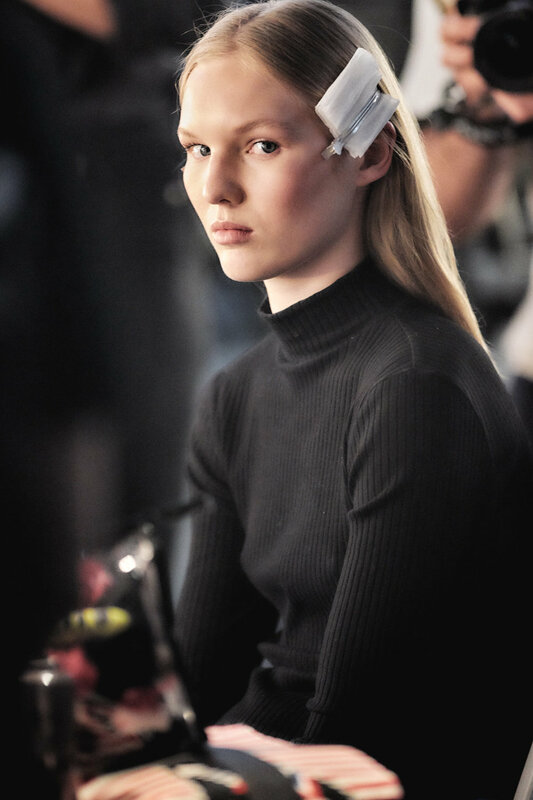 Carissa Walford (IMG) wearing Macgraw & Extra Ordinary Day, front row at Hansen & Gretel. Hansen & Gretel, lush sets. Bridget Hollitt (CHIC Management) walking for Hansen & Gretel. Hansen & Gretel, front row vibe. Need for speed: Active Collective Group Showcase, runway. Bec & Bridge, David Jones, Level 7. Backstage Hair & Makeup, Group Swim runway. Backstage, Eliza Baker (Chadwick Models) patiently waiting to walk group Swim runway. Backstage bounce, Eliza Baker (Chadwick Models), on a post walk high for Duskii Active in group Swim, runway. Lucy Markovic (IMG Models) all smiles backstage after walking for Aqua Blue Swim. Backstage beauty, Samantha Harris (CHIC Management) walking for Duskii Active in group Swim, runway. Meg Breaker (Debut Management) post walk for Ten Pieces, at Bondi Icebergs. After-show chill, Ten Pieces show offsite at Bondi Icebergs. Franny Cowap (IMG Models) walking for Romance Was Born.